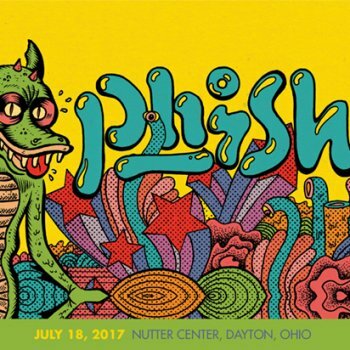 Jamband Phish is another story. They play Frank Zappa's 'Peaches En Regalia' in concert from time to time but they never seem to get it right. But I like them. I like them a lot. As the band releases every concert that they do as a download, and most of them also as a CDR set, I was happy to buy the recent July 18, 2017 concert. 'Peaches' was included as the second song in their setlist. Drummer and composer Tony Allen has a new album out. It's called "The Source" and it's out on the Blue Note record label. As drummer and musical director of Fela Anikulapo Kuti's band Africa 70 from 1968 to 1979, Allen was one of the primary co-founders of the genre of Afrobeat music. Fela once stated that, "without Tony Allen, there would be no Afrobeat." In the meantime, I have been enjoying an audience recording of a recent Ed Palermo Big Band show where they celebrated two Franks : Frank Zappa and Frank Sinatra. With special guest Napoleon Murphy Brock ! It's up at Zappateers and at DimeADozen. In 2001, after five years of silence, Flemish folk singer Kris De Bruyne released "Buiten De Wet". His collaborators included Mauro Pawlowski (who also co-wrote a couple of songs), Michel Bisceglia, Werner Lauscher and Marc Bonne. Which is the title of the soon-to-be-released new Zappa album. 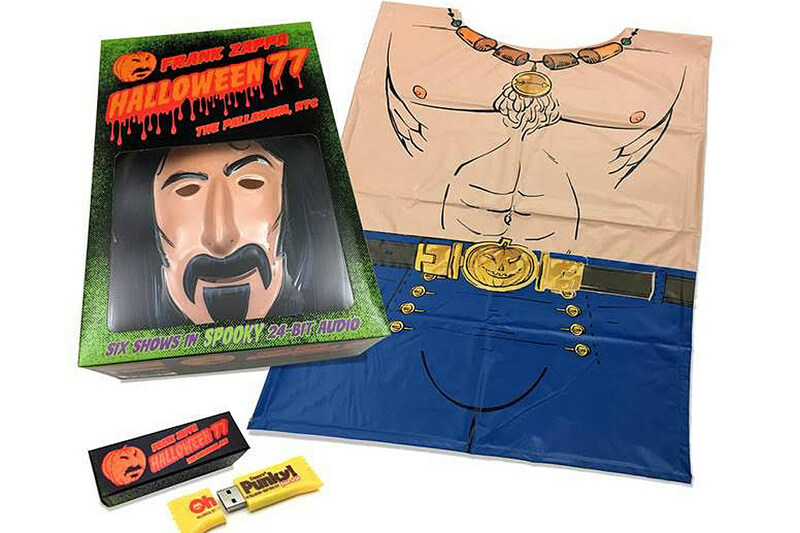 Halloween was Frank Zappa's favorite holiday & by 1977 his Halloween shows were legendary. 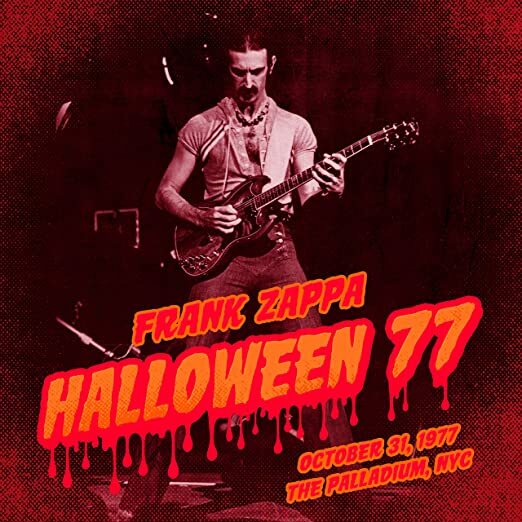 Recorded live at The Palladium in NYC, Zappa performed 6 shows 28-31 October. 4 shows were filmed and resulted in Zappa's movie 'Baby Snakes.' 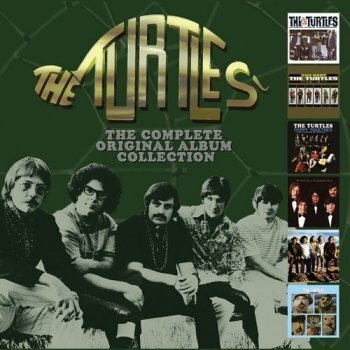 The Halloween 77 3CD version includes the Halloween night show in its entirety, mixed in 2016 from original Vault masters, plus select tracks from the other 5 shows. Keyboardist-arranger-composer Pete Levin’s 9th solo release, Möbius, was recorded live in the studio in two days, capturing the“no boundaries” spirit of Gil Evans. 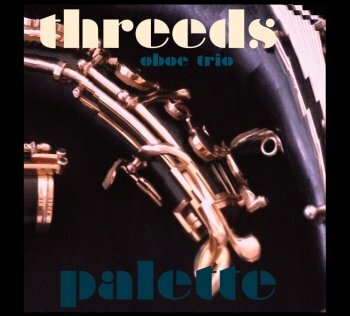 The music explores textural grooves ranging from straight-ahead bop to funk, world-beat, and the experimental. The disc features 10 tracks including 8 originals, “I Mean You” by Thelonious Monk & Coleman Hawkins and “There Comes A Time” by Tony Williams. Anchored by Tony Levin (Peter Gabriel’s original bassist) and Lenny White (Chick Corea’s original drummer) the high-energy band and the compositions have the spontaneity and dynamics of a live performance. In a diverse music career spanning several decades, Levin has performed and recorded with numerous jazz and pop artists, including Paul Simon, Annie Lennox, David Sanborn, Jaco Pastorius, Robbie Robertson and John Scofield. He received critical accolades for his work during a 15-year association with Gil Evans, and his 8-year stint with jazz icon Jimmy Giuffre. ZAPPATiKA will release a new Live album for Digital Download in October. The album is a full blown Frank Zappa tribute and 100% live, taken from the bands' show earlier this year on the Isle of Wight. 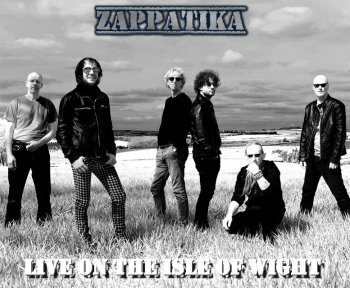 To celebrate ZAPPATiKA's first decade of existence this new album "LIVE on the ISLE of WIGHT" will be subject to a crazy giveaway and will be made available in October 2017 at a cost of ABSOLUTELY FREE !! 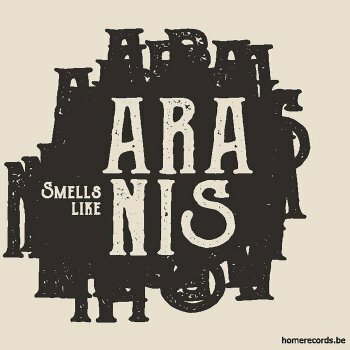 Flemish acoustic avant-rock, experimental and neo-classical chamber music ensemble Aranis recently released "Smells Like Aranis", their 7th release. Lots of Nirvana, a bit of Joris Vanvinckenroye and one David Bowie piece. This re-release on the Klanggalerie label does not just offer a remastered edition of the 1983 album as it includes "4 Daze" as a bonus disc. "4 Daze" presents the original jam recordings from 1981 that were used to develop the songs that later could be found on "Title In Limbo". The Deacon Of Rock Bites Back! Says Steve, “This album was a real joy for me on many levels. A big part of the inspiration and motivation that kept me going; was from all the people out there who had faith in me and encouraged me through the entire process with their donations and comments. It was really a wonderful experience having you all be a part of it. It's my deepest hope and desire that you all enjoy the music on this album as much as I enjoyed making it. From his 1973 solos on Alice Cooper's “Billion Dollar Babies” album, his legendary acoustic work on Peter Gabriel's “Solsbury Hill,” his “Intro” to Lou Reed's “Sweet Jane” and his searing opening solos on Aerosmith's version of “Train Kept A Rolling” Most recently he can be heard on Alice Cooper's 2017 album “Paranormal” making this his ninth Cooper album appearance. The Deacon is not done yet but his life is evolving! He has challenges playing live now but his honed skill, tone, power and soul, is dished up on this hot plate of guitar driven instrumental tastiness. I brought this promotional album home after a visit to a record fair. This release is an initiative from the Flanders Music Centre and it takes a look a jazz music in Flanders. 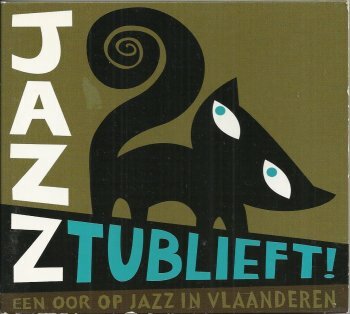 Well, to the jazz music scene in Flanders in 2005. 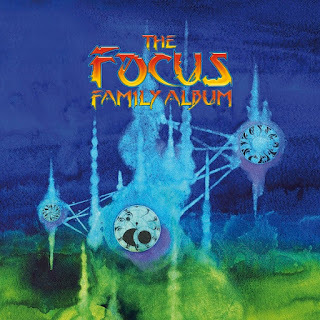 Next to the music that is taken from various albums that were released at the time, the album also includes some unreleased material, like Flat Earth Society’s ‘Psychoscout’, recorded in concert at De Vooruit in Ghent in 2004, or a track by Bart Maris’ Les Poubelles project from 2005. Performing Clownz On Velvet ! I don't listen to the radio that much. When I do, it's in the car and it's Belgian Radio 1 or Studio Brussel. Today started with the news that Absynthe Minded will be releasing a new album. "FRANK ZAPPA BACK ON THE ROAD"
Zaperlipopette is sharing the bill with Universe By Ear at the Hörensagen Festival in Basel, Switzerland on Friday November 17. It is no secret that Swedish jazz drummer, composer and producer Bengt Berger has a weak spot for Indian music. He even lived in India for a while (in the 60s) and studied there with different teachers. 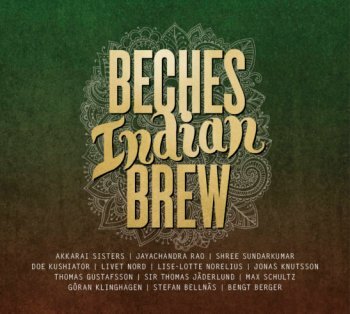 January of last year, Bengt took his Beches Brew ensemble to India where they were joined by eminent Indian maestros of the Karnatic and of the Hindustani tradition for a series of concerts. Later the same year, some of the Indian musicians traveled to Sweden for the Swedish leg of the tour. On "Beches Indian Brew", we get treated to recordings from this latter part of the tour. Eight amazing tracks. It's fascinating to hear how beautiful jazz and Indian music blend together. Available from Country & Eastern. A short film by Jöns Jönsson about the meeting between the Swedish group Beches Brew and four of today's greatest Karnatic instrumentalists in Chennai and the concert at Sri Krishna Gana Sabha on January 3, 2016. Acid Mothers Temple will be touring Europe !! Last year, Arthur Barrow wrote a book about his musical adventures. As you know, Arthur played bass in Frank Zappa's band from the summer of 1978 until the end of 1980. Afterwards, in 1981 and in 1982, Arthur didn't tour with the Zappa band, but he did take care of the rehearsals in Frank's absence (as FZ's 'clonemeister') and he still did some recording sessions with FZ. 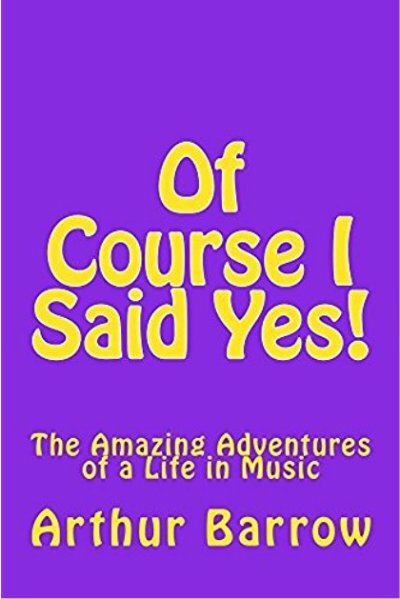 In "Of Course I Sais Yes", Arthur talks in detail about his time with the Zappa band, about working with other musicians that had played with Zappa, and, of course, about his Band From Utopia project. Sure, he also writes about his time with Giorgio Moroder and about working with Janet Jackson and Joe Cocker, to name just two, but for me, the most interesting part was about his time with Frank and his relation to Frank's music. The most fascinating chapter is the one in which Arthur explains how he headed out to L.A. and he seemed to be predestined to play in Zappa's band. I loved reading this book and I learned a lot of interesting facts on the side. In 2005, together with five of his fellow students, Andreas Schaerer founded the Hildegard Lernt Fliegen ensemble. At the time, he was still finishing his studies in composition at the Bern University Of The Arts. Ten years and a couple of albums later, Andreas was asked to write a piece for the Orchestra of the Lucerne Festival Academy, an orchestra that had been founded by one of Andreas' heroes : Pierre Boulez ! The result is entitled "The Big Wig", and it was performed by Hildegard Lernt Fliegen together with the Orchestra of the Lucerne Festival. The concert got broadcast by Radio SRF, but fortunately for those who couldn't hear it (or attend), it has been made available on CD and on DVD. Mind you, this album exists in different formats: as a 2LP album, as a CD, and as a CD/DVD package. You definitely have to go for the CD/DVD package as the performance is a joy to be heard and to be seen !! It looks like the BUT Film Festival hosted a "Zappa Sunday" yesterday. Too bad that I didn't know about it or I would have been there. "Palette" is their second album. Excellent modern chamber music album. It includes a playful, beautiful version of Frank Zappa's 'Peaches En Regalia'. Excellent choice of compositions as well. 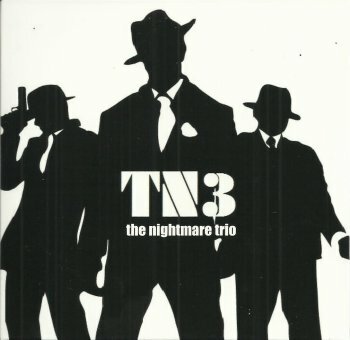 On their "TN3" album, the band plays some fine original compositions next to FZ's 'Peaches En Regalia' and Miles Davis' 'So What'. 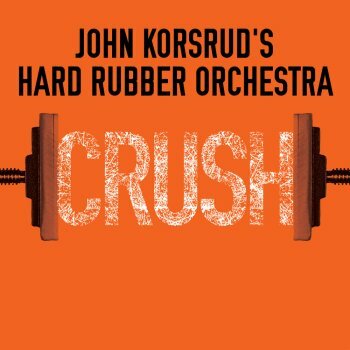 I only got to know the Hard Rubber Orchestra and John Korsrud's compositions a little while ago. "Crush" is their third and most recent album, their previous one being from 2005 !! Subtitled "Compositions For Large Ensembles By John Korsrud", the album presents 9 excellent tracks. Two by the Hard Rubber Orchestra, two by the Hard Rubber Chamber Orchestra, and the rest by smaller combinations. 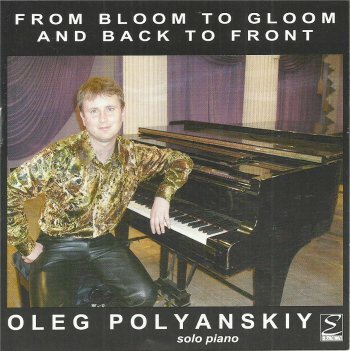 Ukrainian pianist and composer Oleg Polyanskiy recorded Frank Zappa's 'Peaches En Regalia'. It got released on his "From Bloom To Gloom And Back To Front" album in 2007. Also includes his rendition of a Prokofiev piece and an ELP composition, next to his original material. 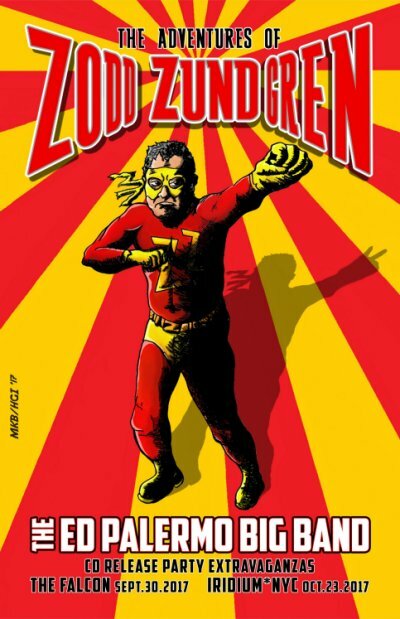 The Cuneiform record label update says that the Art Zoyd box set will be out on October 27. 44 ½ is a landmark release. It is a monumental work - 12 CDs, 2 DVDs, 2 booklets, 2 posters, encased in a stunning box designed by UK graphic designer/artist Max Franosch. It is the first box set released by the band Art Zoyd, and the first box set released by Cuneiform Records. It is also an important work, a comprehensive collection of all of the previously unreleased material created by Art Zoyd, one of the late-20th/early 21st century's most significant European New Music ensembles. 44 ½ focuses the spotlight on and unearths the treasure chest known as Art Zoyd, genre-defiant pioneers who fused elements and instrumentation from classical, rock and electronic music and helped pave the way for Chamber Rock, post-rock and post-classical music, and other 21st Century's genre transcendant music. CARL KING - THE ARCANOSIS ! Carl King, who recently released the very impressive "Grand Architects Of The Universe", has just released a compilation of some of his film scoring and midi orchestration pieces. Want to check out the Sioux Falls Music Scene ? The 'Arenberg Schouwburg' in Antwerp, BE, will host the next edition of Mauroworld, offering a glimpse into the musical mind of Mauro Pawlowski. Hildegard Lernt Fliegen Meets The Orchestre Of The Lucerne Fesvival Academy. 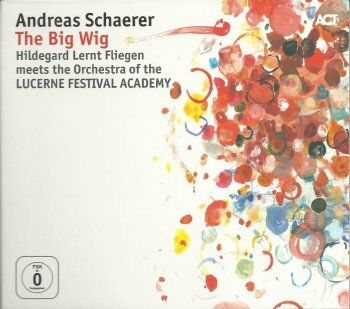 Anyway, Andreas Schaerer's (mastermind of Hildegard Lernt Fliegen) latest project is entitled "The Big Wig"and it's performed by HLF and The Orchestre Of The Lucerne Fesvival Academy. November 24, 2017 at the Philharmonie in Essen, DE. Klanggalerie has just released a new, 2 CD-version of "Title In Limbo". It includes bonus material !! OK, we know you all waited for this a very long time, but now the wait is over. 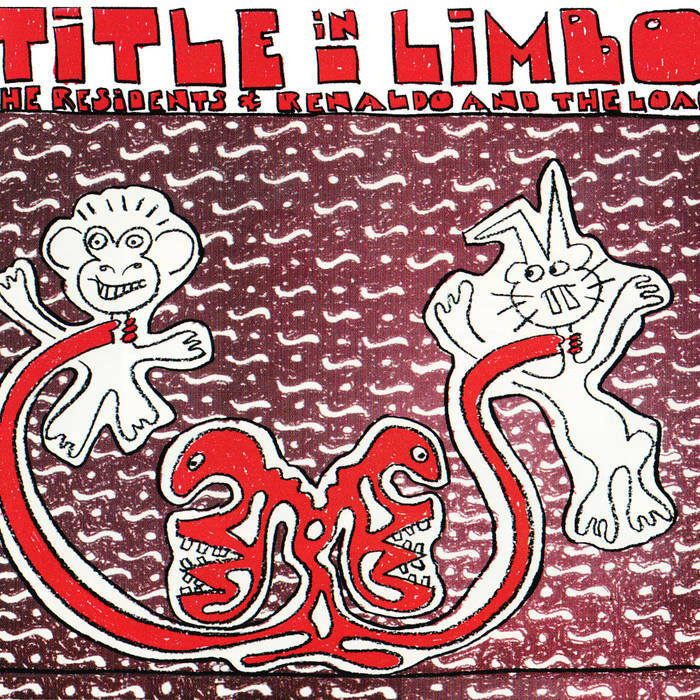 We are happy to be able to present you a special 2 disc edition of Title In Limbo including the legendary 4 Daze! 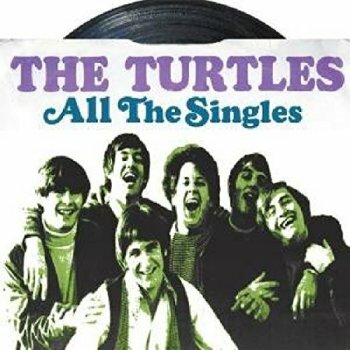 Many of you have heard about this legendary recording for a long time, now over 35 years after its recording it is made available to the public for the first time.